Live music from our home to yours. Following on the critical acclaim of “Atmospheres” and “Eco,” SkyFire and Jed Luckless are teaming up again for another Sight & Sound Experience! “Cite” will transport the audience around the world on light and music, visiting a vast array of cultures through the cities we live in. Where humanity gathers, there is community, love and co-existence. 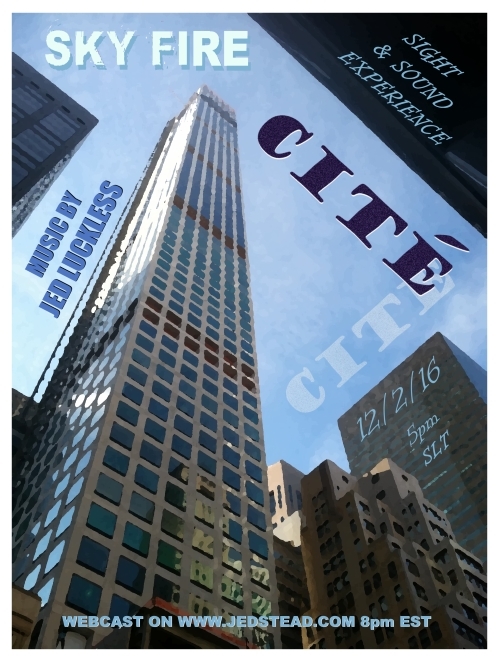 As with the previous Sight & Sound Experiences, “Cite” illustrates it’s point on a global scale. Please join us for this special evening Live From The Jedstead at 8pm EST. And make sure to have your passport ready for a trip across the cities of our world! Have a question about The Jedstead?